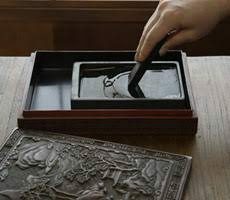 Sumi-e is Japanese for “ink painting,” which originated from Literati Painting in China centuries ago and later spread throughout Japan, Korea, and many other parts of the world including the United States. Contemporary styles range from realistic to abstract. All Asian brush painters use the same tools and similar brush techniques. 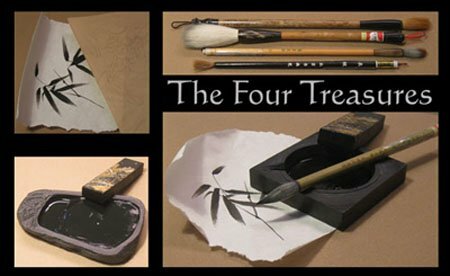 The tools are traditionally called “The Four Treasures” — brush, ink stick, ink stone, and rice paper. Watercolors may also be employed. All East Asian brush painters strive to capture the essence or spirit of the subject. Ming Chiao Chapter was founded in 1988 after Lily Weinshilboum returned from studying at the National Academy of Art in Hangzhou, China. She felt that the time was right for a chapter in her home state, and Ming Chiao Chapter was born. Ming Chiao, or ‘Minnesota Bridge’, signifies a link between East and West. The name reflects a connection to the numerous lakes and mighty rivers in Minnesota. • To foster and encourage an appreciation of East Asian brush painting techniques through publications, workshops, lectures, and exhibitions. • To serve as a cultural bridge between East and West. • To furnish information to all persons who wish to learn about this art.